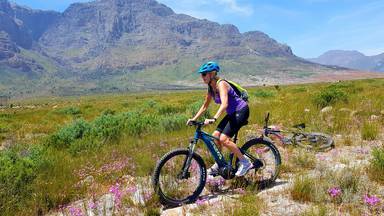 Based in the Stellenbosch Winelands, also operating local day-tours like our Guided Bike tours, E-bike experience, 4×4 wine tours, guided hikes and a hop on hop off service on the well-known wine route called the Vine Hopper in Stellenbosch. We know that most of our clients come to South Africa for a once in a lifetime experience. 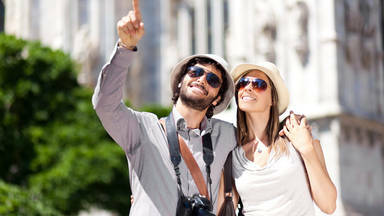 Our aim is to make sure that all our clients have a fantastic time in our beautiful country. So that only the best stories go out to their friends and family and come visit us again sooner than they would have expected! 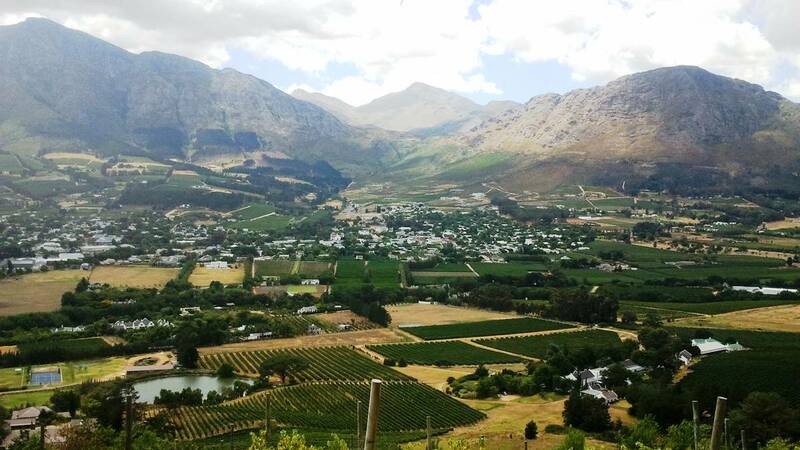 Our cycle tour through Stellenbosch was absolutely fantastic! What a wonderful way to see this beaut... - Paula Blake-Pead. Book things to do at Adventure Shop Stellenbosch. Find the best things to do at Adventure Shop Stellenbosch. What people say about Adventure Shop Stellenbosch. 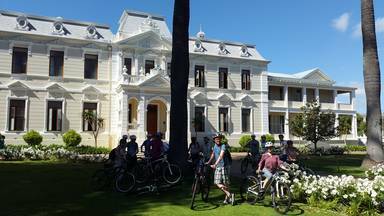 Our cycle tour through Stellenbosch was absolutely fantastic! What a wonderful way to see this beautiful town and scenery. The two wine tours we did really topped it off, especially the Lanzerac tasting with the delicious chocolate! Marshall, our tour guide was knowledgeable, really friendly and ensured that he did everything he could to make our day extremely enjoyable (even when it started raining!!) I would fully recommend doing this tour. We have had a great adventure family tour in Stellenbosch. Everything was well arranged, a very good guide who could tell us lots! He was very good in feeling exactly what we needed with the two kids as also being to do everything on time. 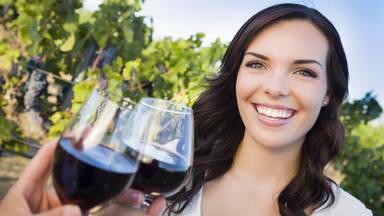 The two wine tasting we both excellent and especially the chocolate one, which we have never experienced before. Thank you very much for this great day! Content is provided by the individual merchants who take responsibility for the factual correctness of their information. © 2007-2019 Copyright Tornado Tour Systems (Pty) Ltd ta Activitar. Our sign-up free booking process temporarily stores booking details on your device.